The final stop on the road to WrestleMania, SmackDown put out a better, but still underwhelming go-home show than its Monday night counterpart. A few storylines advanced, but it dropped the ball on a key one. How did the stars of Tuesday nights fare on the last stop before the big one? Let's take a look. 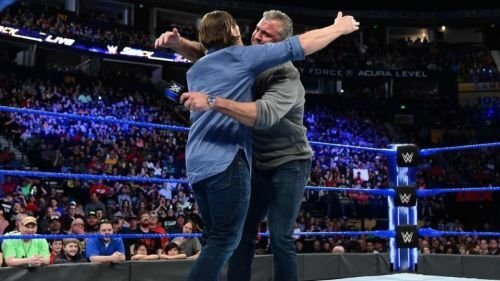 It seems that all of SmackDown's creative resources have been put into this feud. Thankfully, Daniel Bryan's presence helps things along greatly. Without him, it would be the same as it was before. Owens and Zayn carried their invasion segment well, outpacing their rivals, who only did as well as they did because of the aforementioned Daniel Bryan. Still, the segment successfully built excitement for the tag team match on Sunday.